The tank is a new block which allows players to store fluids. This take behaves like any traditional tank in minecraft, allowing for basic interaction with buckets. 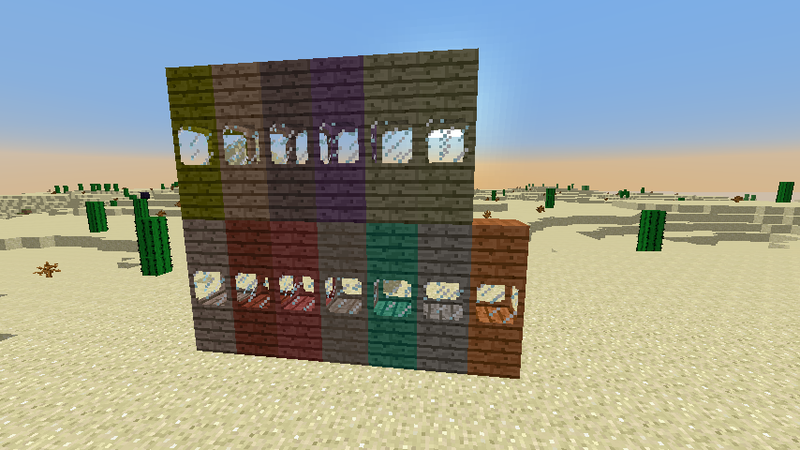 Additionally these tanks can be filled and drained using other mods, such asTinkers Construct and BuildCraft. When broken by a player, the tank will keep any contents stored inside, allowing for easy transportation of larger fluid quantities. If broken while sneaking, the tank will still drop however its contents will be lost, allowing for easy fluid disposal. Tanks can be filled or drained from any face. When exploded, tanks have a 100% chance to drop as an item, and keep their contents. Tanks can also be pick-blocked to get an exact copy. Tanks have a maximum stack size of 1. Only tanks of the first tier can be crafted, other tiers are made available through the use of upgrade items. Along with the tank block, an upgrade item has been added. The upgrade items will allow players to increase the capacity of the tank by right clicking the item on the tank. Upgrade items are consumed after being used. For an upgrade item to be usable, the upgrade must be only one tier above that of the tank, or the same tier. Although using a tank upgrade on a tank of the same tier generally won’t provide any capacity increase, it will allow you to change the texture of the tank to that of the upgrade used. Upgrade items have a maximum stack size of one. 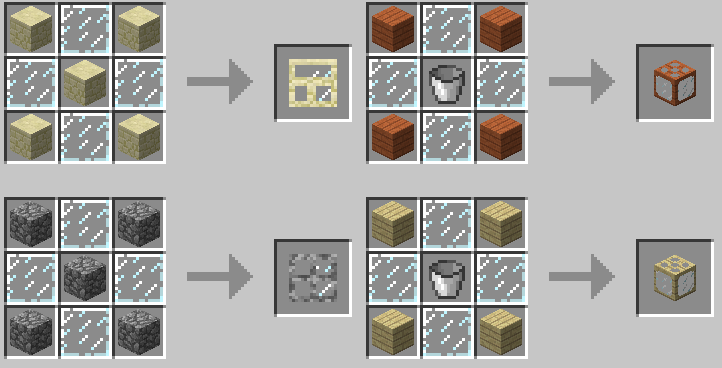 The crafting recipe for the tank and the upgrade item are near identical, although the tank block requires a bucket. 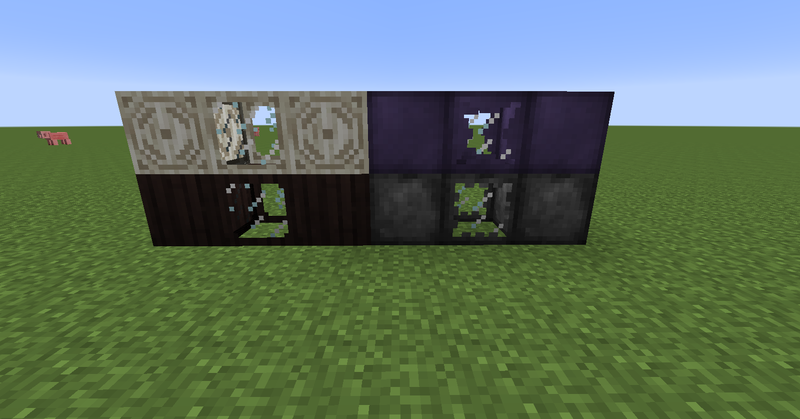 Crafting recipes are comprised of glass panes and a block or item associated with that tier. 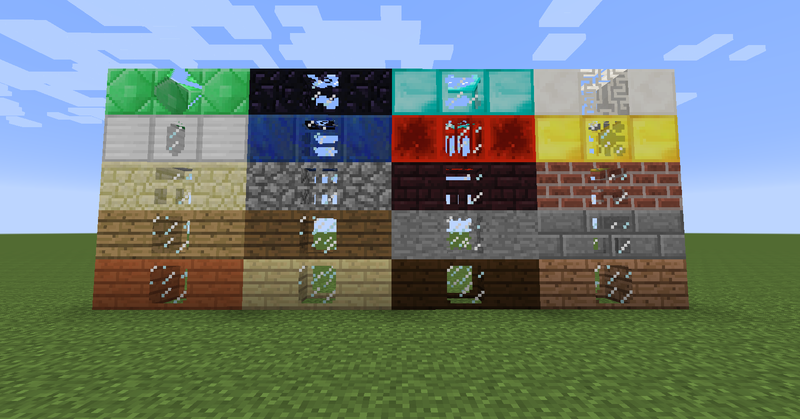 Some examples for Acacia and Birch tanks, along with upgrade item examples for the cobble and sandstone tanks can be seen bellow. Q: Is this mod safe for use on servers? A: Yes, this mod is universal and should work on both client, server and lan. To use this mod on a server, both the server and all connecting players must have Minecraft Forge and Gyth installed. Q: For some reason a few of my tanks are invisible or appear as fire. A: As this mod is completely modular, if you remove a mod which added a tank upgrade which was being used in your world, the tank will persist as if nothing had changed. The reason a fire icon is used to represent the tank is because the texture data added by that mod for the upgrade is no longer reliable. To fix the issue simply upgrade the tank or change its data by using a texture of the same tier. A: Please check out the Legal and Modpacks section. If your pack complies with the conditions they you may use this mod in your pack. This mod is provided as is without any warranty. The source code for this mod is made publicly available on GitHub and is free for anyone to use for the purpose of learning, you may not comple the code of this project and include it within your own project without advanced written permission from myself, you also may not distribute modified copies of the project or parts of the project. Hosting mod files on your site without permission is strictly prohibited. If you would like to distribute this mod in a mod pack, you may do so without obtaining advanced written permission from myself as long as the three conditions noted bellow are satisfied, if there is any confusion with these terms don’t hesitate to ask for clarification. -The pack is not distributed behind an ad site such as adfly or adfoc and is freely available to anyone who would normally have access to this mod. 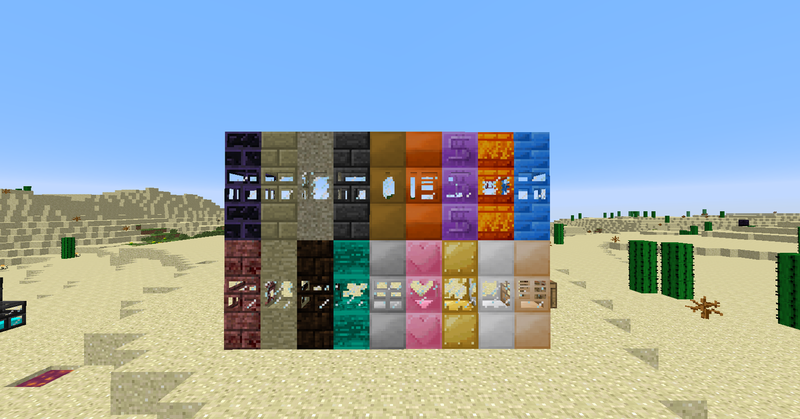 – The pack has permission to use every mod already contained within the pack.